The sleeve alone shows the versatility of the 4Season Suit. The adjusters allow the rider to fine-tune the sleeve’s fit. 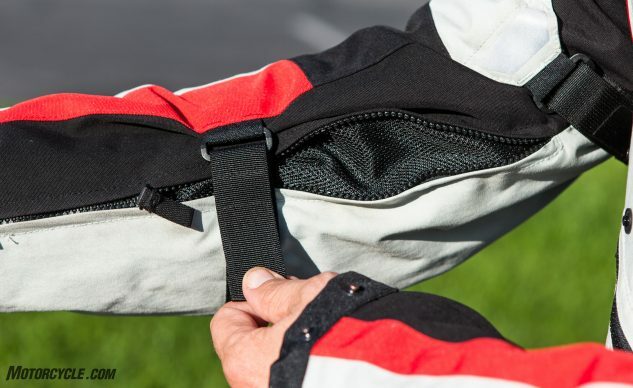 The reversible gauntlet zipper opens a vent on the inner arm for cooling airflow.